That Renter will return the vehicle, together with all tyres, tools, car documents, accessories and equipment, to the agreed return location specified overleaf on the date specified overleaf unless Renter requests and Owner agrees to an extension, or sooner upon demand of Lessor. That Renter received the vehicle in good order and condition and is liable for cost of all fuel consumed during rental and the restoration to same good order and condition where lessor feels warranted. Outside of the United Kingdom without the express agreement of Lessor. The additional fee for one-way rental service, if any, or, if vehicle is left elsewhere than at the agreed return location without Lessor's written consent a fee of £25 for the first 5 miles plus £1 per mile thereafter both ways will be levied. Shall be waived if Renter has purchased in advance the damage waiver as evidenced by his initials in the "i accept" space overleaf, except for any stated excess. Value Added Tax and all other taxes (if any) payable on the aforesaid items. The Renter shall not be liable for non-collision losses to the vehicle caused by perils normally protected against by a comprehensive accident damage insurance policy, except for the damage waiver excess stated overleaf. Notifying the police immediately if another party's guilt has to be ascertained, or if any person is injured. If any claim is made against the insurers, allow Lessor to conduct any negotiations and effect any settlement with insurers and agree to abide by any settlement or arrangement with the insurers by Lessor. Any monies payable by the insurers shall be paid to Lessor or as Lessor shall direct. Be liable to compensate for any loss of use claim or other damage suffered by the Lessor. The vehicle you are renting may be fitted with a tracking device and the information recorded may be used by the Lessor or passed to the authorities upon their request. That Renter hereby releases and indemnifies Lessor from and against any liability for loss or for damage to any property (including costs relating thereto) left, stored or transported by Renter or any other person in or upon the vehicle before or after return of the vehicle to Lessor. That Lessor whilst taking all precautions and using its best efforts to prevent such happening shall not be liable for any loss or damage arising from any fault or defect in or from mechanical failure of the vehicle of any consequential loss or damage. Renter shall always lock the vehicle when not in use. In the event of any breach by Renter of any of the terms and conditions hereof Lessor may without notice repossess the vehicle and for such purpose may enter upon premises where the vehicle may be and remove the same and Renter shall be responsible for and indemnify Lessor against all actions, claims, costs and damages consequent upon or arising from such repossession and removal. If by virtue of the billing instructions as completed overleaf it is Renter's intention to pay by credit card or charge card, then Renter's signature overleaf constitutes authority for Lessor to compute and debit the final total charges against Renter's account with the specified card issuing organisation. The rate of exchange used on any currency conversion shall be conclusively determined by Lessor. Any addition or alteration to these terms and conditions shall be null and void unless agreed upon in writing by the parties. The Renter agrees that the data shown overleaf may be stored, processed and transmitted electro­nic­ally by Lessor. That this agreement be governed by and construed in accordance with the laws of England. Any excess charges which may be incurred in pursuance of an order under sections 35 and 36 of the Road Traffic Regulation Act 1967 (provision on highways of parking places where charges are made). Should Renter leave property or motor vehicle on premises whether it be his property or motor vehicle or under his custody or control this property or motor vehicle will be left or parked at the Renter's Risk. By entering into this rental agreement you agree that we can process and store your personal information in connection with this agreement. We will use your information to analyse statistics, for market research, credit control and to protect our assets. You agree that if you break the terms of this agreement we can pass your personal information to credit-reference agencies, debt collectors, the police or any other relevant organisation. we can also give this information to the British Vehicle Rental Leasing Association (BVRLA), which can share your personal information with its members to prevent crime and protect its assets, as allowed under the Data Protection Act 1998. 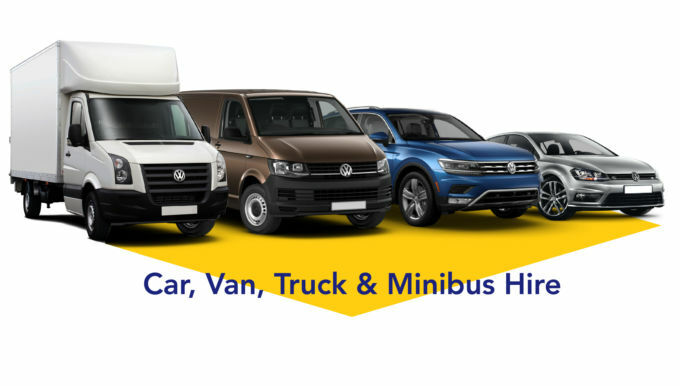 No charge will be levied for booking cancellations with the exception of Minibus hire where we take £25 deposit to book the vehicle, this deposit is forfeited if the booking is cancelled less than One week before the hire start date.